If you’re experiencing wrist pain or discomfort after an accident you may have a sprain. A wrist sprain can be a painful and inconvenient injury so understanding the symptoms and best treatment are essential. Read on to find out more about how to identify a sprain and what you can do to recover. A wrist sprain, as with other sprains, involves a twisting or tearing of the ligaments connecting the bones at the joint. Due to the large number of ligaments contained within the wrist, sprains can be extremely common and must be treated quickly. Wrist sprains can occur when the hand is suddenly forced back or twisted in such a way as to place a large amount of impact stress on the many ligaments which provide support and mobility to the hand. This can happen as the result of a fall or other collision during a sports activity and must be immediately treated. WHAT ARE THE “GRADES” OF WRIST SPRAIN? The above is intended to be used as a guide for you to quickly assess the severity of your injury. For an accurate assessment and diagnosis, it is crucial that you speak to a Doctor or other qualified health care professional. If you are experiencing any of these symptoms, consult a healthcare professional for a diagnosis. The treatment for wrist sprain depends on the severity, the number of ligaments damaged, and whether the bone was dislodged (an avulsion fracture). It is advisable to seek advice from your doctor or physiotherapist as soon as possible, in order to assess the extent of the damage to the wrist. Elevate – Raise the wrist above the heart. 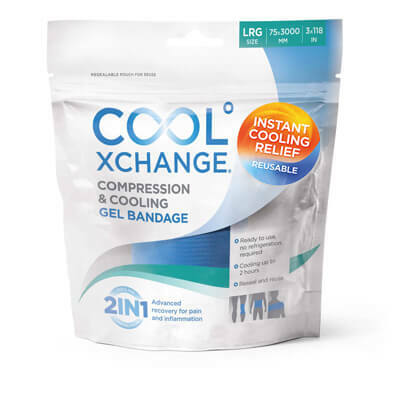 This is important as it allows the heart to regulate the blood flow to the joint and helps to reduce swelling and bruising, which can further reduce mobility and increase the time required for the joint to heal. Anti-inflammatory and pain relieving medication can also be recommended by your healthcare professional, to provide relief from swelling pain. Your medical professional may assess the damage using either an X-Ray, CT, or MRI scan. This is extremely important, as an improperly treated wrist sprain could lead to chronic complications. A moderate sprain may require the wrist to be kept in a splint for a week or so. This will allow the joint to heal with the minimum of extra movement. A more severe sprain may require surgical assistance, please discuss this with your healthcare professional. These are guidelines only. It is up to you to decide when your wrist feels that it is healed to a point where exercise and physical activity can be resumed. When the wrist no longer hurts, has the full range of movement, and has the same level of grip strength as before the injury, then that is a good sign that the wrist is either fully healed or very close. In all these cases, however, it is vital that you speak with a healthcare professional or physiotherapist, and assess the exact damage to the wrist. not receiving treatment for severe damage to the wrist in a reasonable timeframe can lead to chronic issues later on.